Although we are currently working our way through the month of June, before we know it we’ll be mourning the end of summer and starting to think seriously about how we hit the sales number in the last few selling months of the year. 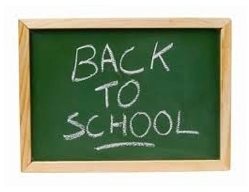 In some industries this period is known as “Back to School”. It’s a time that any of us that have children will recognize as when we prepare our offspring for a new school year and invest in equipping them with new uniforms and supplies to ensure they can be as confident and successful as possible. Maybe businesses should do the same for their people? Why does investment in training have to be a remedial event? Perhaps it should be a planned event to prepare individuals, teams and organisations for the challenges that we all know lie ahead. In a lot of organisations a re-fresh of best practice activities and skills is all that’s needed. Sometimes it’s a little more, re-newing skills by adding new insights and practicing the set piece or maybe it’s the need to re-focus attitudes and your approach to your target markets. So here are a few pointers that you might want to review to check if your people are going to need some “back to school” investment post summer. The pipeline is starting to look as if it could thin out and there is a risk of feast and famine rearing its ugly head. Worse still, the famine in results looks like it will hit at the end of Q4 or perhaps affect your sales into 2015. The “hygiene factor” noise from the team is starting to increase in volume. Last years sales at the end of Q4 and perhaps Q1 this year were touch and go and although you hit the number, it involved a lot of scrabbling around. The business habitually goes tactical at the end of summer as the activity levels struggle to return to pre-summer levels.